Emvelo have started trials on Golf Courses of their Multi-strained Pro-biotic treatment that promotes growth of naturally occurring beneficial microbes found in soils. Saving Rare Breeds - Conservation farming and animal rescue charity - are using Emvelo Spray+ in their lambing shed. Your Horse Live, Stoneleigh Park, Warwickshire CV8 2LZ, Emvelo's Equine Products will be for sale on the Ashforth Equestrian Stand. Niki Dow has a Dressage Workshop, either full day or half day - reserve your place. 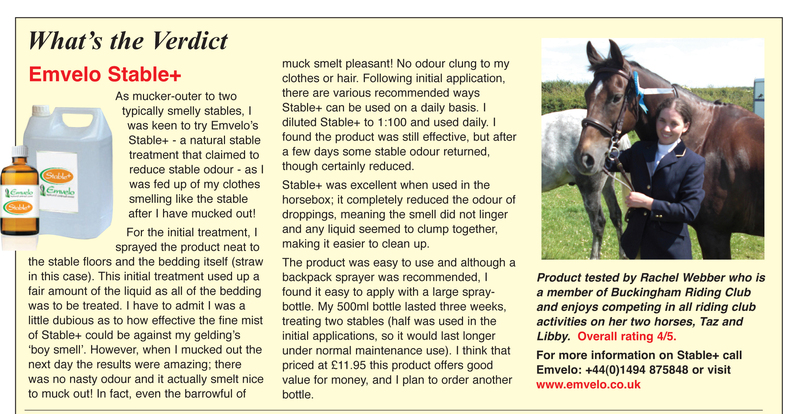 Niki will have Emvelo's Equine Products for sale.